AGE ACTION IS urging people to remember their elderly neighbours living alone following the national weather warning issued by Met Eireann. Communities can play their part by visiting the elderly to ensure they have enough provisions such as food, fuel or medical supplies as extreme cold temperatures can have a serious affect on them. With snow and ice expected in 12 counties and predictions of snow accumulations of between three and eight centimetres across the country, those living alone or with limited mobility and health issues can particularly be at risk. “These kind of weather conditions are difficult for everyone, but they are especially challenging for older people, and older people living alone,” Age Action spokesman Eamon Timmins said. Age Action says older people can also play a role in ensuring they remain well and warm in their homes by maintaining a comfortable temperature in the rooms they are living in. 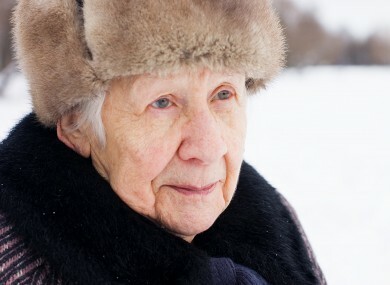 Email “Age Action urges public to remember elderly during cold snap”. Feedback on “Age Action urges public to remember elderly during cold snap”.